Copper prices are set to test fresh intra day peaks today. Hefty buying is set to initiate further push in Copper. On Tuesday the easing of tensions in Chile molded the prices to sell but that was only before the US manufacturing data was released. After the release of the data positive sentiments for the economy again lured participants. 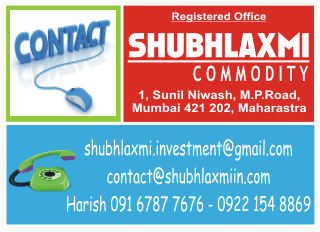 MCX Copper which ended the trading session of Tuesday at Rs 347.35 per kg unaltered from Monday is now up Rs 4 or 1.09%. The prices have so far tested a high of Rs 351.35 and are all set to reach Rs 353. New orders for manufactured goods increased by more than anticipated in the month of November, according to a report released by the Commerce Department on Tuesday, with the strong growth reflecting a notable increase in orders for non-durable goods. The report showed that factory orders increased by 1.1 percent in November following an upwardly revised 0.8 percent increase in October. Chilean mining giant Codelco on Monday made an improved wage offer to workers at its large Chuquicamata complex, which might defuse a day-old strike.